There’s a saying, “If you’re lucky enough to live by the sea, you’re lucky enough,” but I’d like to suggest a minor variation. 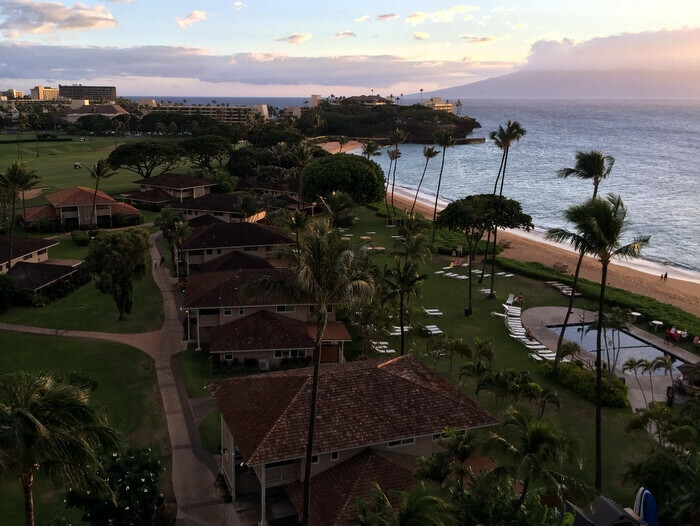 My saying would be, “If you’re lucky enough to stay by the sea, you’re lucky enough.” And after spending a couple of nights in a seaside cottage at Maui’s Royal Lahaina Resort, I definitely feel plenty fortunate. 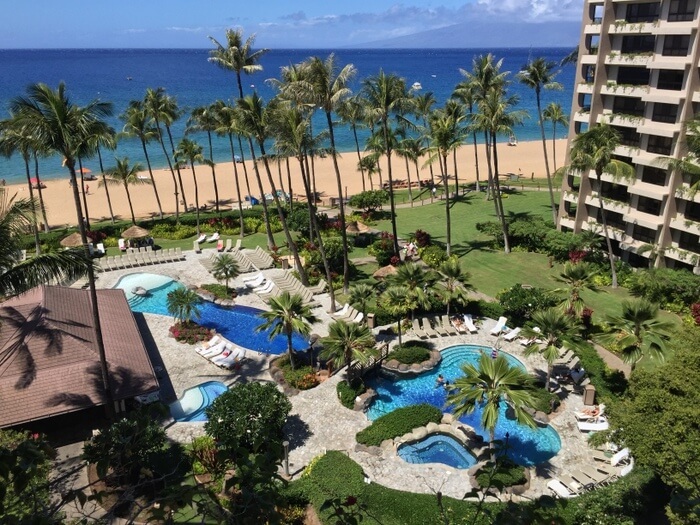 The Royal Lahaina Resort sprawls over 27 acres of prime oceanfront land in the Ka’anapali resort area on Maui’s west coast. 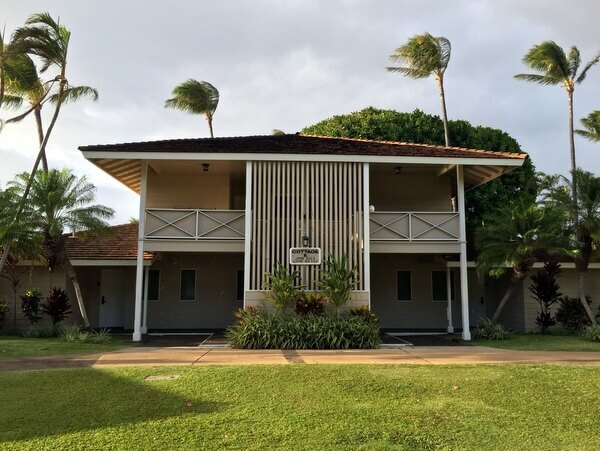 The hotel opened in the 1960s with a collection of beachside cottages that still feel like “old Hawaii.” A 12-story tower built in the 1970s added 333 more rooms. Each of the cottages has four or five guest rooms inside. We stayed in a second-floor unit in Cottage E, which is one of the farthest from the resort tower, where the lobby and restaurants are located, but closest to the ocean. The rooms in both the cottages and the tower are furnished in an updated plantation style, with dark woods, white linens, and tropical accents. Our spacious room had a desk, flat-screen TV, and safe, as well as two lounge chairs looking out to sea. While the bathroom had been updated fairly recently, some cottages have older baths, so check before booking if newer facilities are important to you. A few cottage units have kitchens, but most, like ours, have just a mini-fridge and coffeemaker. Our cottage’s best feature was the view, overlooking the beach and the ocean on two sides. 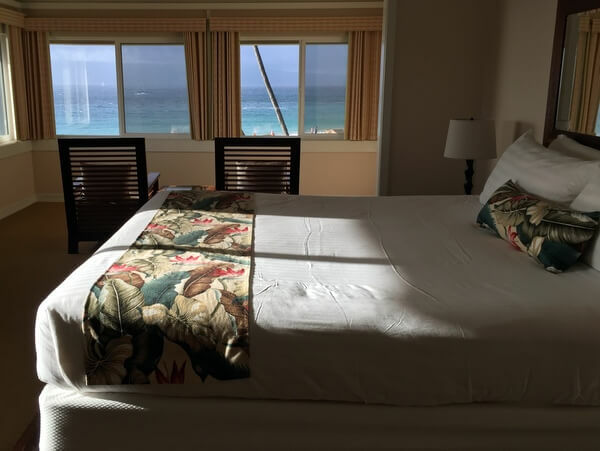 With the windows open, we could fall asleep to the sound of the surf. A ceiling fan kept things cool enough at night, though we opted to put the air-conditioning on at times during the day. We could sit out in the two rocking chairs on our front porch, which looked onto the gardens, with glimpses of the sea. The Wi-Fi signal, which is included and worked well, reached out to the porch, so we could work outdoors. If we preferred to sit on the beach, we simply walked behind our cottage to the ocean side, where lounge chairs lined the grassy lawn. That lawn is a popular spot for weddings, too. Two ceremonies took place during our stay, and one evening, the dance music melded into the sound of the surf long into the night. The rooms in the tower building are furnished similarly to those in the cottages. While some rooms are a bit smaller, they’ve all been updated recently. All the tower rooms have balconies looking out over the property or directly onto the beach. Ask for a room above the fourth floor if you want to see the ocean, but since there are no other buildings nearby, the views (depending on your orientation) extend across the grounds, toward the hills, or to the sea. The Royal Lahaina is set on a long crescent of golden sand, toward the north end of the Ka’anapali Resort. This section of Ka’anapali is a little quieter than the area to the south, where the hotels and condo buildings are closer together and you’ll find more food and drink options. However, you can walk or jog along the beach path to any part of Ka’anapali. On property, the Royal Lahaina has two swimming pools, 11 tennis courts, a fitness room, and free yoga classes for guests, as well as a self-serve laundry. A small store sells beachwear, drinks, snacks, and other odds and ends, and a cafe serves coffee, tea, smoothies, pastries, sandwiches, and ice cream. Most evenings, the resort hosts a luau, the Myths of Maui, open to guests and visitors. The hotel’s main restaurant, The Royal Ocean Terrace, has tables indoors and out. It’s open for breakfast, lunch, and dinner, with live Hawaiian music in the evenings. We had an excellent dinner one night, when Chef Bernardo Salazar and his team whipped up a special menu for my husband Alan and me, based on a meal they had prepared for the Hawaii Food & Wine Festival. While the giant Kauai shrimp, buttery filet mignon with melted Gouda cheese, and creamy lilikoi panna cotta may not be on the restaurant’s regular bill of fare (so your meal mileage may vary), there’s clearly some talent in the kitchen. 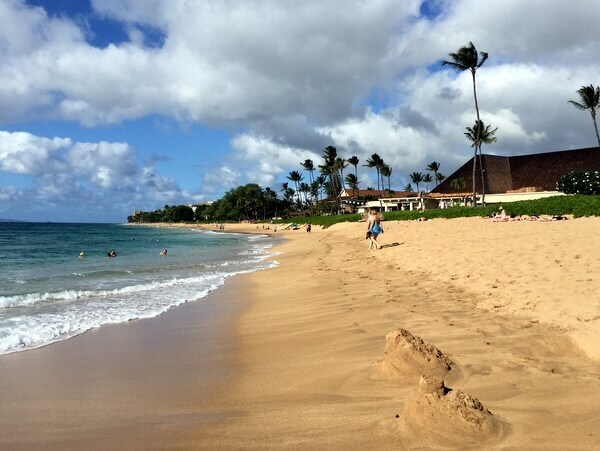 But really, the best reason to stay at this Ka’anapali hotel is its stretch of golden sand. 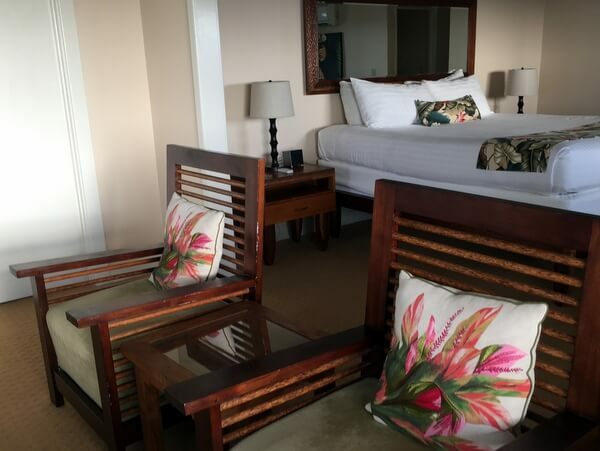 Beach lovers, at Maui’s Royal Lahaina Resort, you’re lucky enough to stay right by the sea. Which means you’re lucky enough. 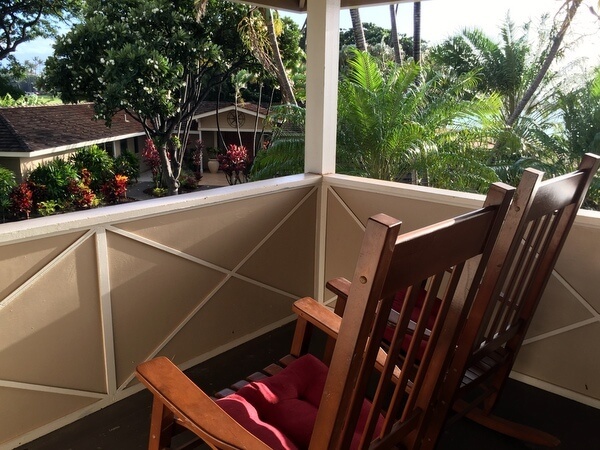 Double rooms at the Royal Lahaina Resort start at $189/night, although rates vary considerably depending on time of year, unit size, and views. In the winter high season, expect rates in the $269-585 range, with suites and two-bedroom units available at higher prices. 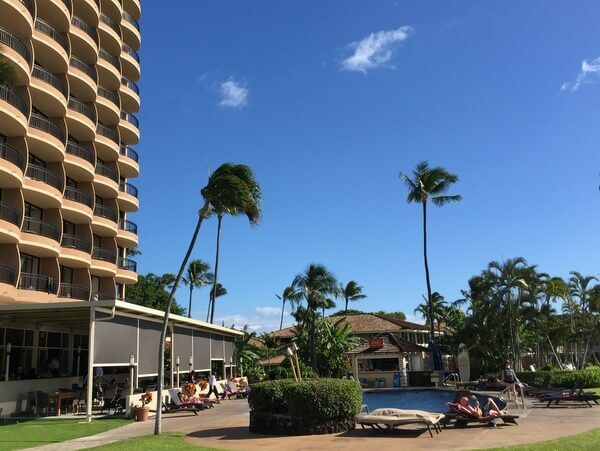 Unlike many area properties, the Royal Lahaina does not charge an additional resort fee; however, self-parking is $10/day, and valet service is $15/night. 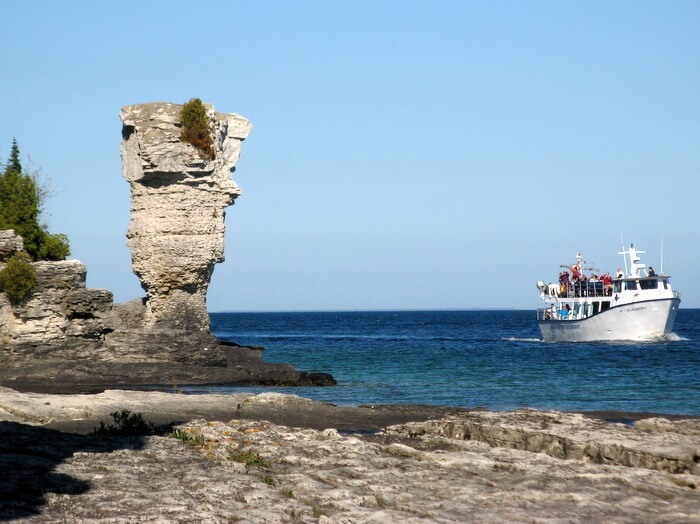 You can also make your reservations through Priceline or Hotelopia. Hotel review by Vancouver-based travel, food, and feature writer Carolyn B. Heller. Photos © Carolyn B. Heller. 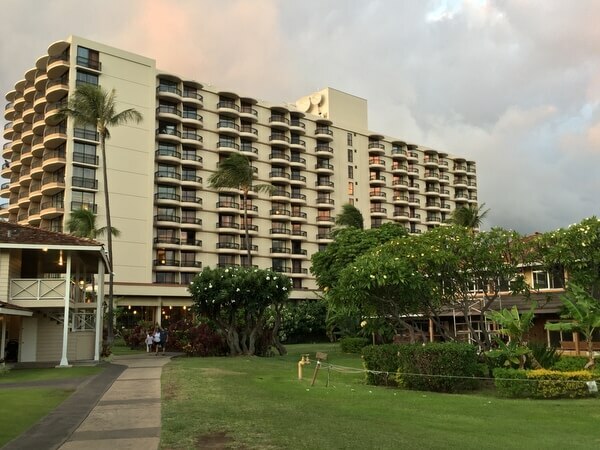 The Royal Lahaina Resort, in conjunction with the Ka’anapali Resort Association and the Maui Visitors and Convention Bureau, hosted my stay for review purposes.